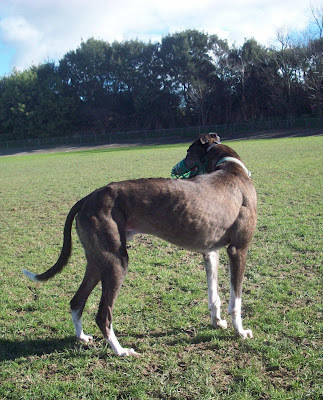 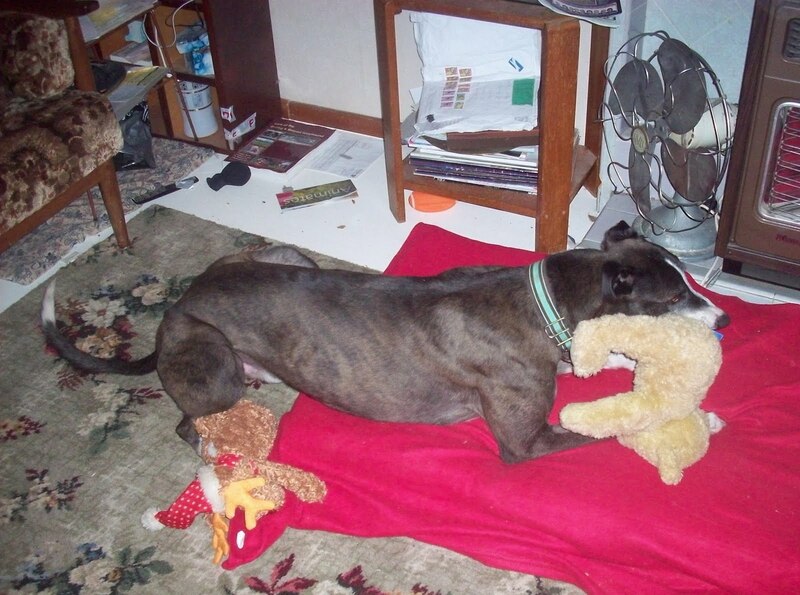 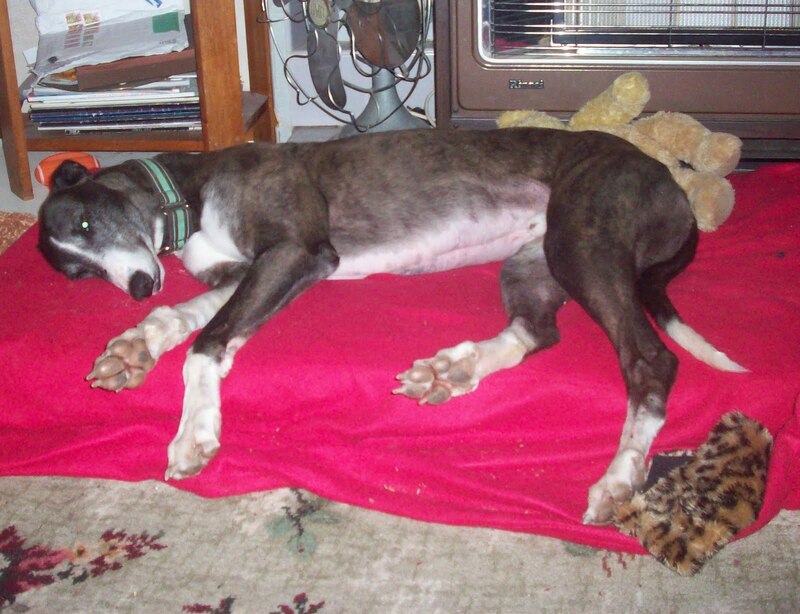 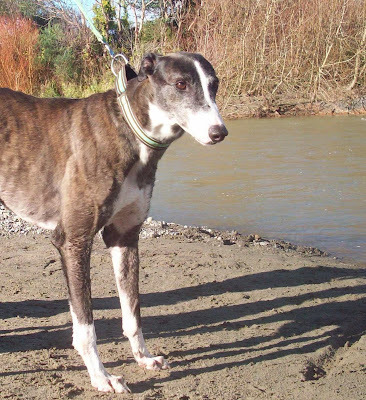 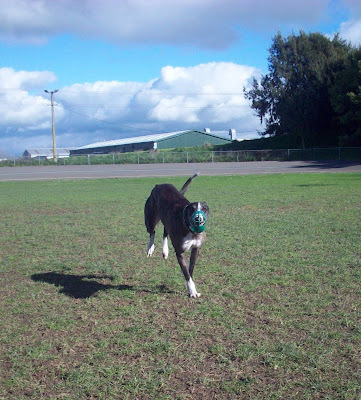 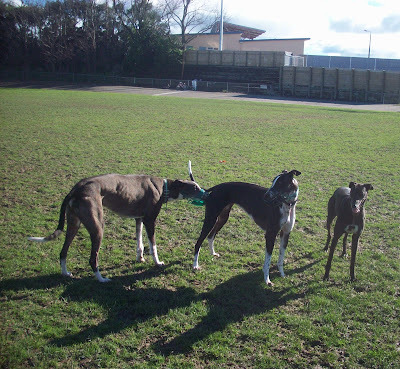 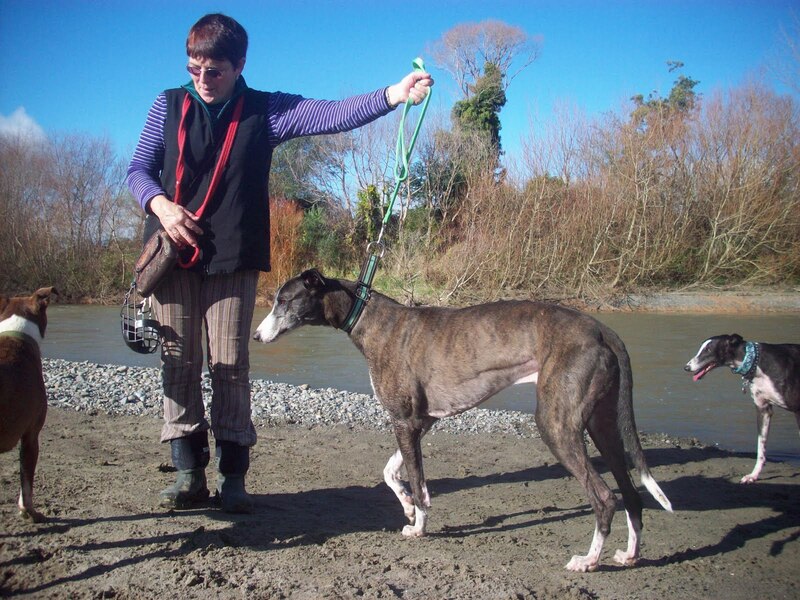 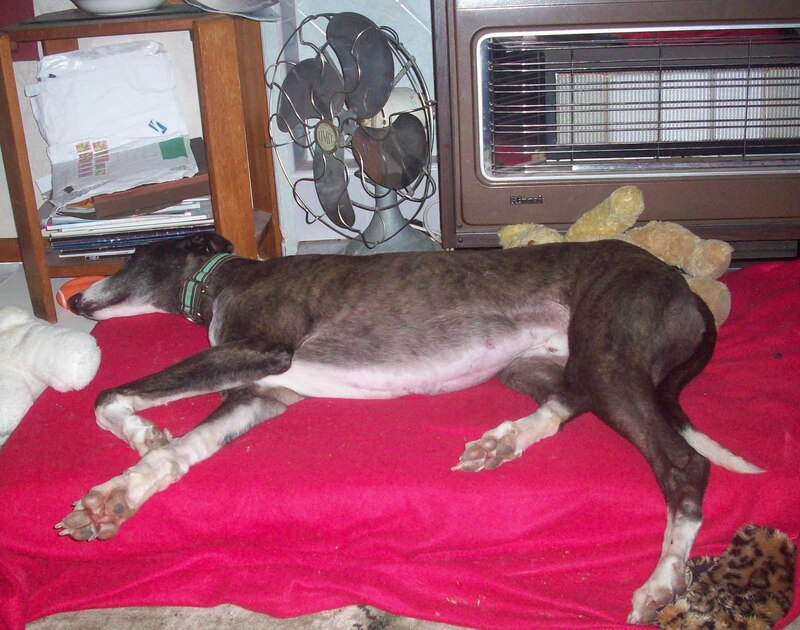 Now that Chester has been snapped up, we have a new foster greyhound: absolutely gorgeous Tyson (Canya See Me). Tyson has raced until recently, and he will be 6 years old in September! He had 94 starts and earned just under $40K in stakes. 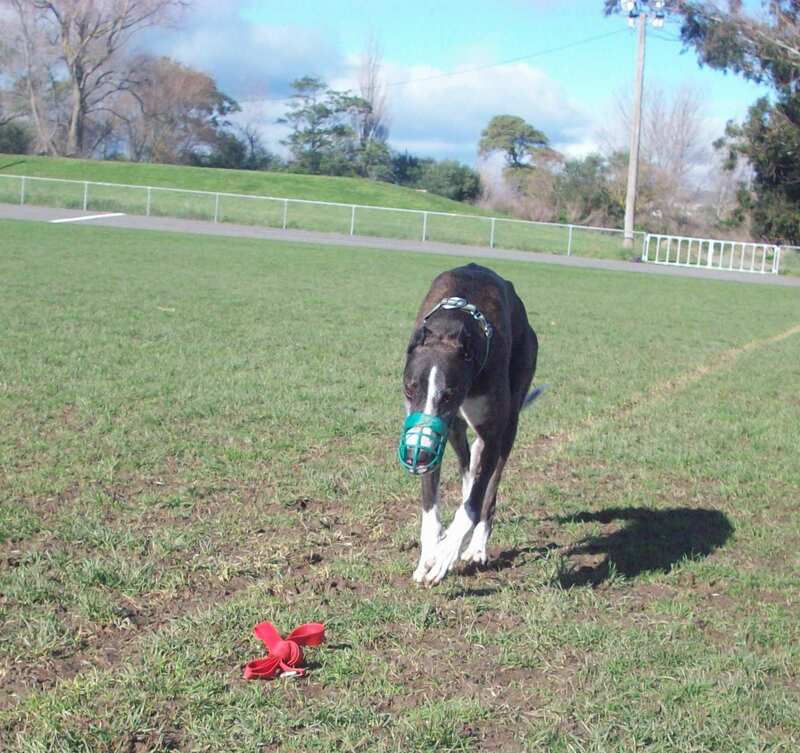 As much as we love all our foster greyhounds, each and every one - I have to say, I have a soft spot for successful racers, dogs who had long racing careers. Possibly because my Louie, the first greyhound I ever met, is one of those...? 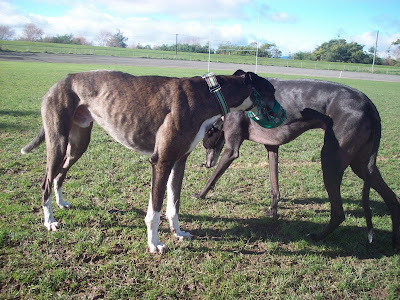 I think the 'professional' aspect of such greyhounds appeals to me, and I find training them the easiest and most satisfying. 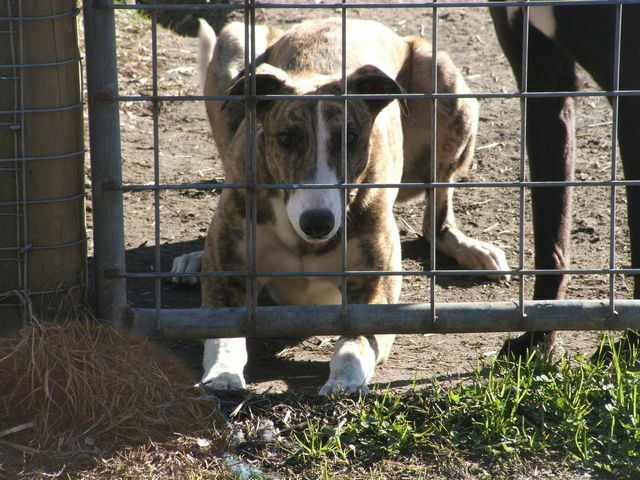 I also taught him to wait before he comes out of the car, and he goes to his crate when i tell him 'Bed!'. It is hard to believe he has been here for just 2 days!